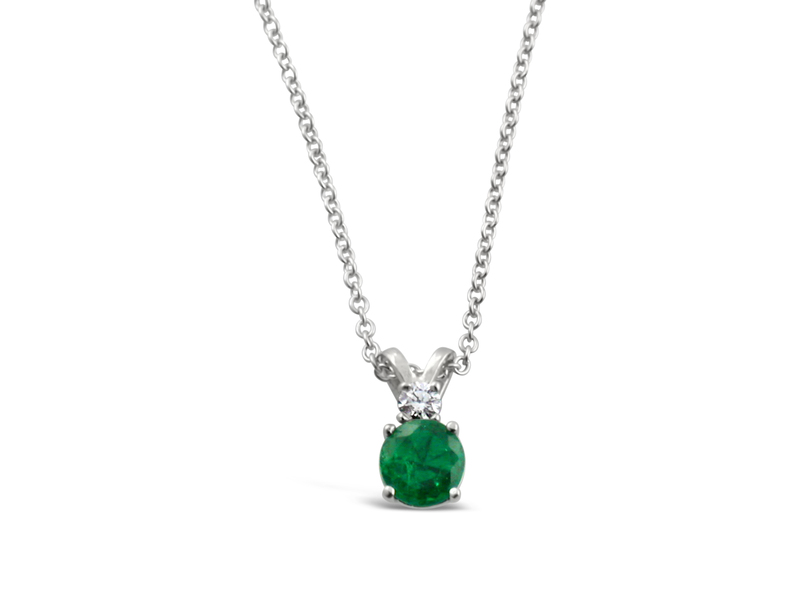 CPDE Classic drop 14kt white gold pendant with one round high quality green Colombian emerald, 1.00 carat, and one round diamond, .08 carat. Can be made with different sizes, shapes and quality of stones. Please contact us for prices.